It’s really central to everyone engaged in busy lives. As well as for people who just don’t see themselves spending time in deep silence and solitude because they are so engaged in daily life. There is nothing wrong with such engagement! 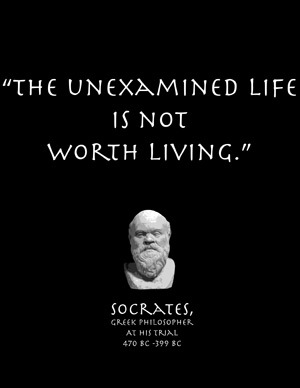 Only let’s remember Socrates’ famous statement: “The unexamined life is not worth living.” As John Dewey stated, we don’t learn from experience, but from our reflection on our experience. 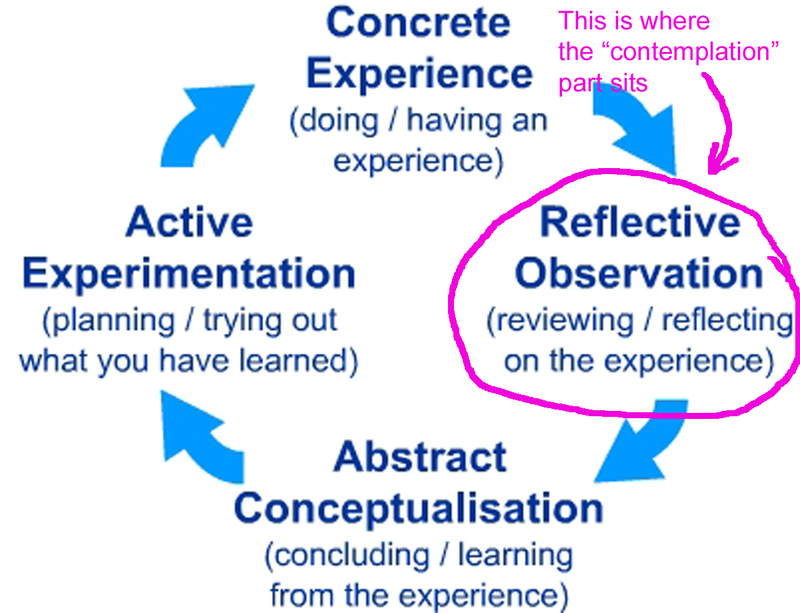 David Kolb expanded on this beautifully in his theory on the Learning Cycle. It’s worth spending a few minutes with this approach here. Too often we move directly from experiencing something to concluding about it, and moving on to implementing some change. But that’s getting ahead of ourselves. As some spiritual masters would say, it’s “getting ahead of the grace.” We need the time to reflect on our experience, to ask ourselves what it says about ourselves, what it says about our relationship with God, with others, and with creation. We need to listen! Active contemplation is the discipline of slowing down, of not letting ourselves be dazzled by our doing. It’s the discipline of distancing ourselves from the activity of our busy egos, stepping back and reflecting on the broader picture. We are simply not good at this! Active contemplation is the deliberate discipline of slowing down, returning to our relationship with God, remembering that we are in God’s world, not the other way around, remembering that our life is not about ourselves, but about something far greater. Is this what I am supposed to do? Does this contribute to an increase in love, justice, and compassion in the world? Does this meet my needs at the expense of others? Of all that I might be doing, is this the best use of my time and talent? Am I being an instrument of God’s Love here and now?